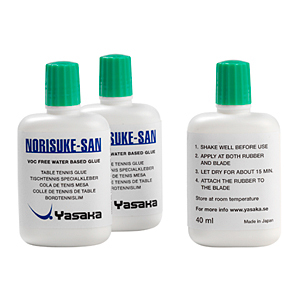 New voc free water based glue, 40 ml. For application on both rubber and blade. Also available in 375 ml can.